An open house and ribbon-cutting ceremony will start at 10 a.m. in Southview Park, which borders the Luce Line trail near the intersection of Baker Avenue and Kingsley Street in Winsted. • food provided by the Winsted Lions from 11 a.m. to 1 p.m.
Attendees are welcome to walk, run, or ride on the trail. The event will take place rain or shine. Trail enthusiasts near the Hutchinson area will also have plenty of opportunities to celebrate. 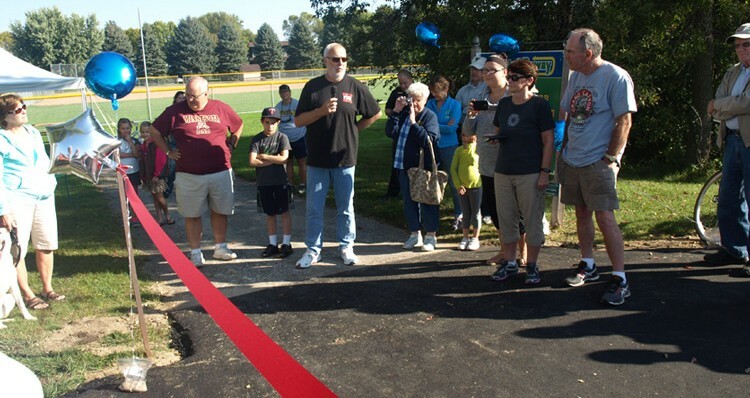 The grand opening of the newly paved Luce Line trail is part of an “Open Streets Hutchinson” event Sept. 26. The free event will close a stretch of Third Avenue NW along the Luce Line trail to automobile traffic from 10 a.m. to 3 p.m., opening the street for people to enjoy being active together as a community. Participants are encouraged to explore the street on foot, bicycles, or skates. Programmed recreational activities for all ages will take place along the street, and may include yoga, Zumba, games, and dance lessons. More details about the Open Streets Hutchinson event can be found at heartofhutch.com/openstreets.